Blade and Grip: Socratic Dialogue Today? Adapted from Karen Armstrong's November 22, 2009, piece: "A Socratic dialogue is need of the hour." When a man came to converse with Socrates, he usually thought that he had a fair knowledge of what he was talking about. But after half an hour of Socrates’ questioning, he discovered that he knew nothing at all - and at that moment, Socrates explained, his philosophical quest could begin. Socrates maintained that wisdom consisted of the disorienting realisation of the profundity of human ignorance. People must interrogate their most fundamental prejudices or they would live superficial, expedient lives, because “the unexamined life is not worth living”. To philosophise was not to bludgeon your opponent into accepting your point of view, but to do battle with yourself. Furthermore, a truly Socratic dialogue must be conducted with gentleness and without malice. It was a joint effort to obtain new understanding: you expressed yourself clearly as a gift to your debating partners, whose beautifully expressed arguments would, in turn, touch you at a profound level. 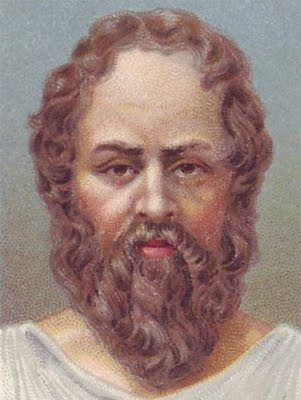 Socrates once described himself as a midwife whose task was to help his conversation partner engender a new self. By learning to inhabit each other’s point of view with honesty and generosity, participants were taken beyond themselves, realised that they lacked wisdom and longed for it, but knew that they were not what they ought to be. Dialogue is a current buzzword, but despite the vaunted rationalism of our society, there is little genuinely Socratic dialogue going on. All too often in a debate it is not sufficient for us to seek the truth; we also have to defeat and even humiliate our opponents. In a panel discussion it is often evident that participants are not really listening to adversaries but busy thinking up a riposte that will deliver the coup de grace. And yet if ever there was a time when we needed an appreciation of how little we know, it is surely now. Our financial institutions are in meltdown; we are bound together more closely than ever before - electronically, politically and economically - and yet the world is polarised; we are engaged in destructive wars we seem unable to end or win; and we are facing environmental catastrophe. A joint effort and a Socratic humility and openness to others is required if we are to meet the challenges of our time and create a just and viable world.